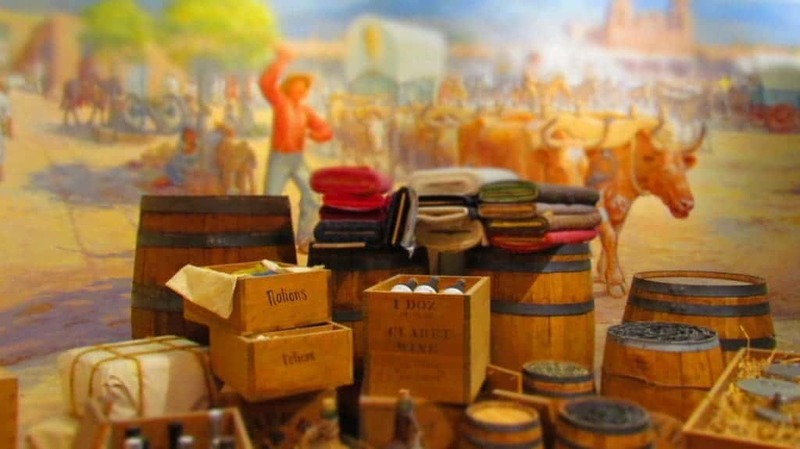 The National Frontier Trails Museum in Independence, Missouri is dedicated to teaching the history of the three main trails heading West. On a damp Saturday morning, we headed to 318 West Pacific, in historic Independence, to see what this trails museum has to offer. 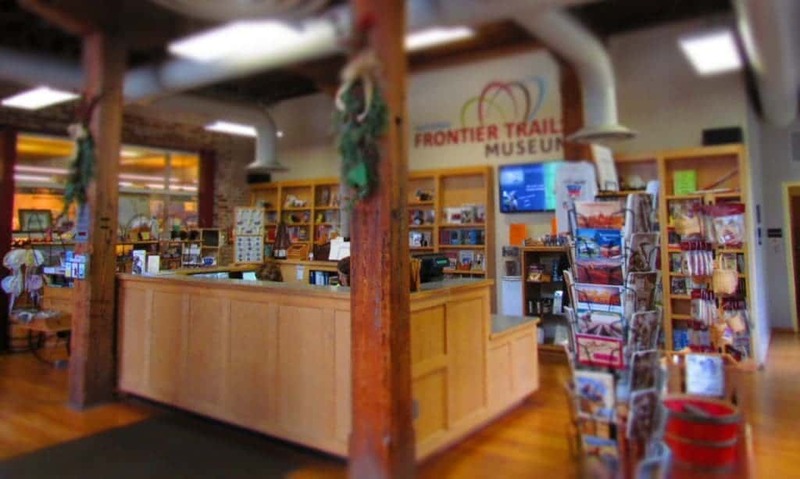 We want to thank the National Frontier Trails Museum for their hospitality. Rest assured that all opinions are our own. We arrived promptly at opening, and it meant we had the place almost to ourselves. Admission is $6.00 for adults, and $3.00 for students, so it’s an affordable attraction. The entrance doubles as the gift shop, which has lots of nice souvenir options. They have a wide range of historical books on Independence, as well as life along the trails. We decided to hold of browsing until after viewing the trails museum. The museum begins with a background on the area. It has lots of displays, and documentation about the indigenous people, as well as the earliest non-native visitors. 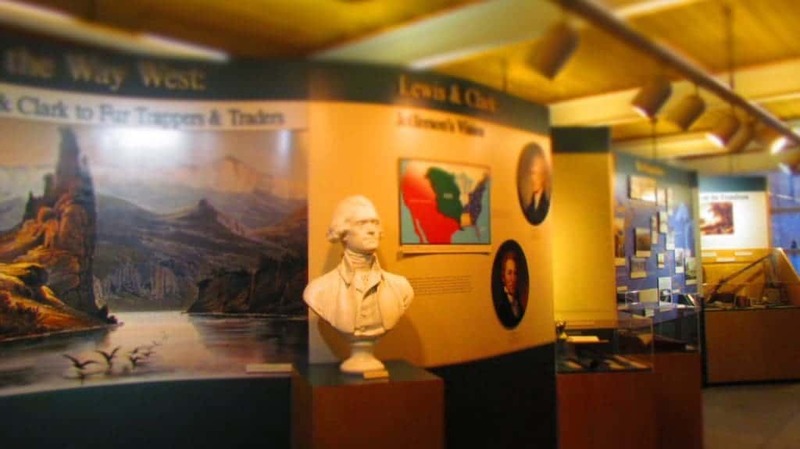 Stories about Lewis’ and Clark’s early exploration are always fascinating to me. It seems like each museum we visit gives another small piece of information that others have overlooked. I suppose There is so much to tell of their journeys, that no single trails museum would hold it all. We were impressed at the wide range of topics this trails museum covers. 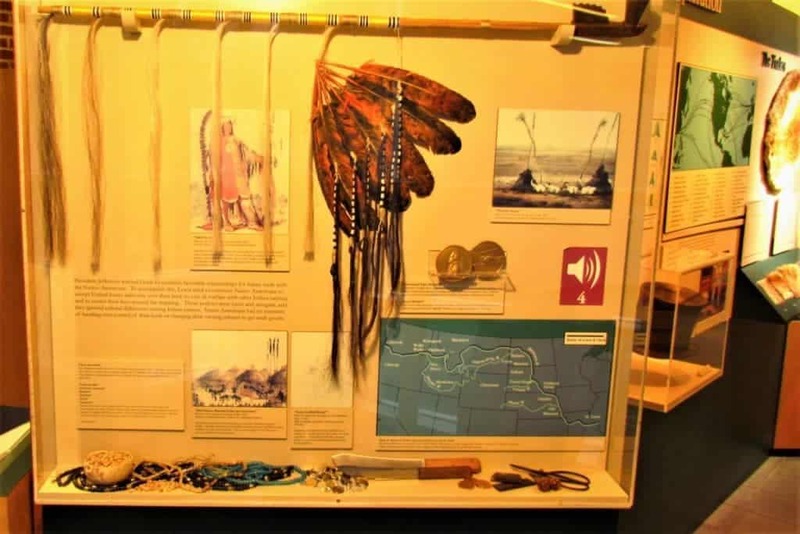 It lays out a good groundwork of the Indian tribes that inhabited the trail routes. Many displays are filled with artifacts, although some are facsimiles. As you continue along the path, you encounter the section that introduces trappers and traders into the area. The trails museum tosses in some interactive displays along the way. Samples of various furs are fun to feel. Alongside this display is an explanation of the value of each type of pelt in that time period. Moving on through this first hall, we moved to the start of the westward expansion. As we leave the first hall, we enter an area that starts the expansion of the West. Many early travelers either followed or used the rivers for navigation. It was obvious that many of the frontier towns would want to be near water. 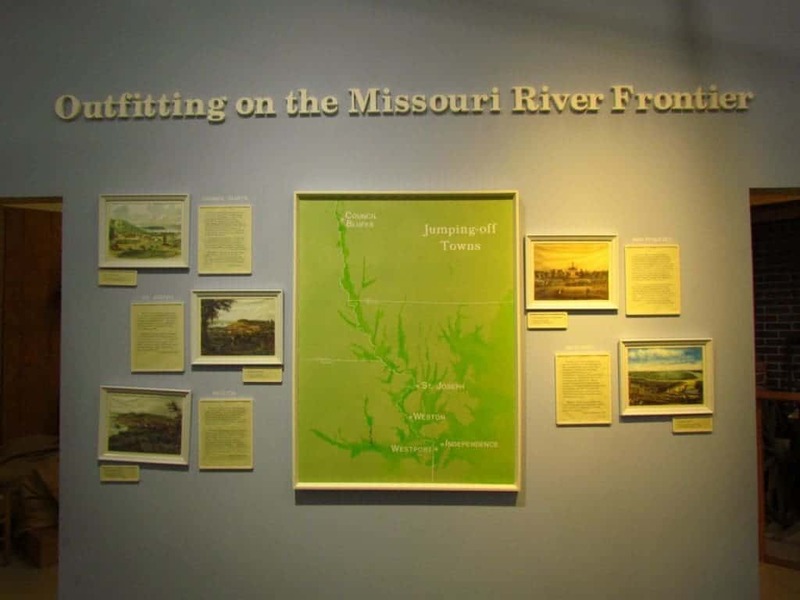 Here many of those heading out on the California, Oregon or Santa Fe trails were outfitted in Independence or other towns on the Missouri River. 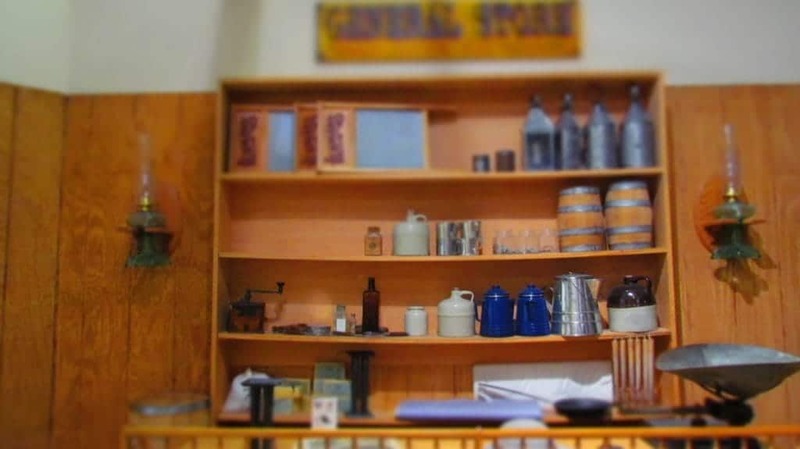 Pioneers would visit the general stores in these river towns to load up on provisions for the rough journey ahead. Wagon trains were formed, and wagon-masters chosen. The fording of rivers were one of the first tests that many of these travelers faced. Of course, lying ahead would be dangerous storms, muddy trails, parched streams, desserts, accidents, attacks, and many more dangers. 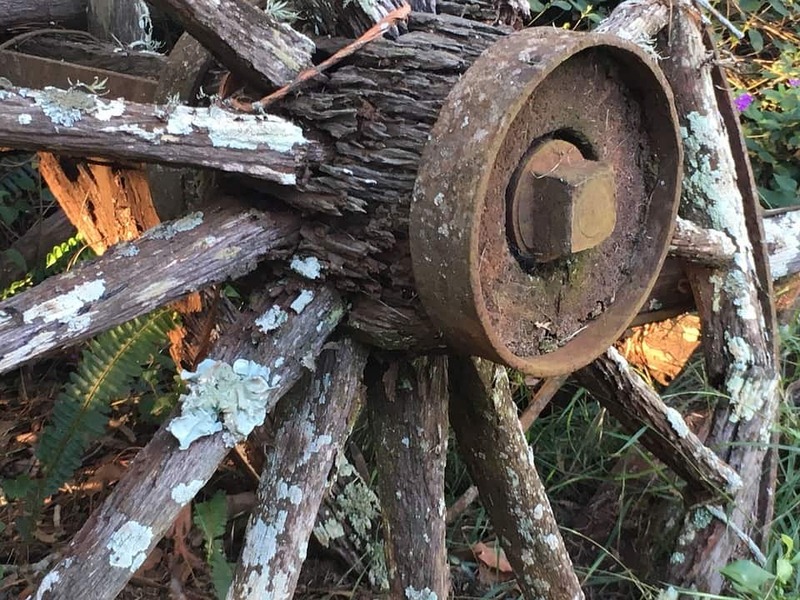 As their journeys continued, the pioneers would discover that many of the loads would need to be lightened to prevent overworking their livestock. Along the trails, piles of goods would be strewn. Many heirlooms were deemed commodities that could be done without, and only the bare necessities would be left. The loss of life was high along the trail, and tens of thousands of unmarked graves still silently lie along the paths. Throughout this section of the trails museum we found narratives from the pioneers themselves. Stories of struggles and strife are here in the words of those who experienced them. This is a nice addition, as it helps better understand the trials that those along the trails had to deal with on an almost daily basis. The trails were not only used by pioneers, but also as trade routes to towns in the West and Southwest. 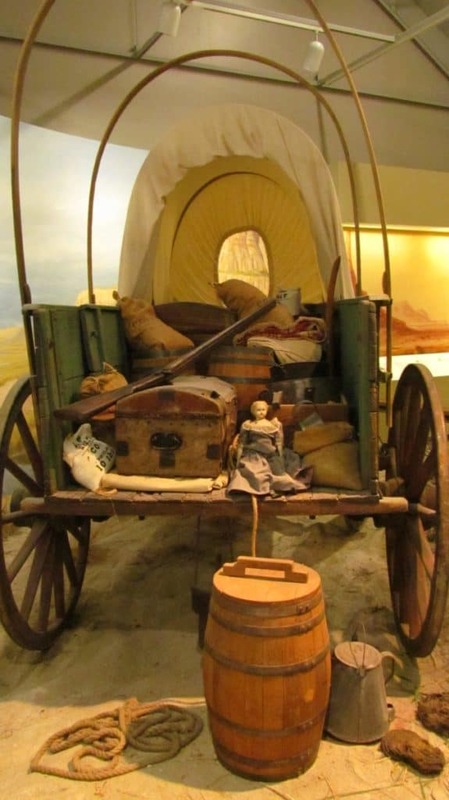 Many times pioneers would tag along with these wagon trains for safety. Many fortunes were made and lost by the success of these wagon trains. By the end of the 1860’s, the Transcontinental Railroad would have finally linked the East and West. This would spell the end to the massive trail traffic, although some would continue for the next couple of decades. Eventually, additional train routes would spell the end for the trails altogether. 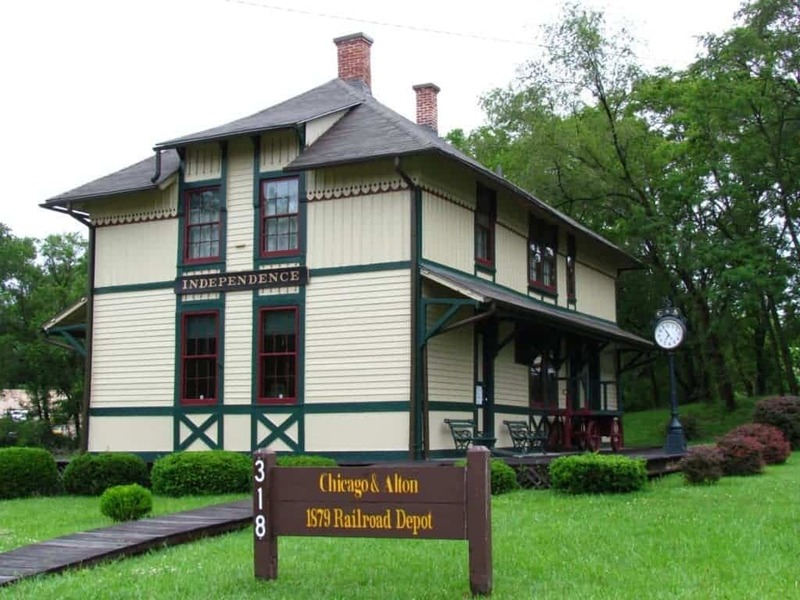 While you are visiting the National Trails Museum, be sure to take time to visit the Railroad Depot located on the property. This two-story depot is staffed by volunteers, so hours may vary. We were a little early, and only got to peer through the first floor windows. We will have to be sure to check it out on our next visit to the National Frontier Trails Museum. Thank for coming and writing about our Musuem. We appreciate it. You are quite welcome. We enjoyed our visit, and hope that many others will experience this interesting site.